We are home to one of the nations largest and most trusted industrial and commercial distributors of electric motors and controls including AC & DC Motors and AC & DC Drives. We also specialize in Retrofit and Repair of AC and DC Motors. Please select a category below and begin browsing our wide variety of motors and controls. 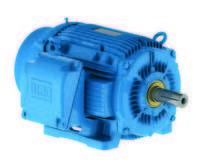 We stock a wide-variety of AC motors, both single-phase and 3-phase, with TEFC, TENV, or ODP enclosures. Within these categories, we offer fractional to 10,000 horsepower motors. We specialize in rare items such as ATEX, pre-NEMA frames and custom motors built to your exact specifications. With over 120 years of combined motor industry experience, we can provide added value to your motor requirement needs. 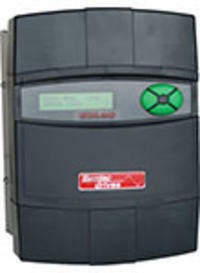 An AC drive or variable frequency drive (VFD) adjusts a motor's speed to closely match output requirements, resulting in typical energy savings of 10 to 50 percent. Soft start motor controls lower the demands on a motor during start-up, conserving energy and extending the life of the mechanical system. We handle a full line of low voltage and medium voltage product from fractional to 10,000HP. E-Motorsonlines handles NEMA frame DC motors that include permanent magnet designs through 5 HP and wound field designs through 1,500 HP designed for adjustable speed operation from SCR controls. Permanent magnet and wound field designs for 90 or 180 VDC have a 20:1 constant torque speed range. 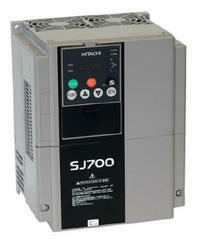 We have DC drives available from fractional to 2,000 HP. DC drives are used in a number of demanding applications like: testrig, mine hoist, rolling mill, electrolysis, magnetics, battery charges and many more. The power sections of these converters are available in two quadrant or four quadrant for regenative applications.